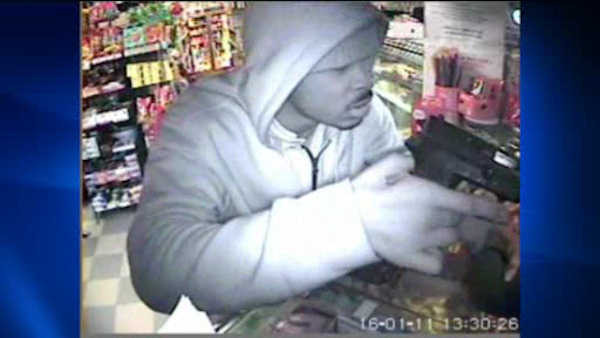 BEDFORD-STUYVESANT, Brooklyn (WABC) -- Police are searching for three men who robbed a Brooklyn deli at gunpoint. Surveillance images released by police show the suspects' faces as they threatened the deli clerk. It happened in broad daylight Monday afternoon at Rodriguez's Deli on Lewis Avenue in Bedford-Stuyvesant. Police say the men stole $4,000, two cell phones, and two of the workers' wallets before taking off.